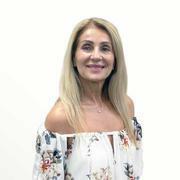 Sylvia Nicolades holds a diploma in Beauty Therapy along with a strong background in the Beauty Industry and detailed knowledge of business Sales standards. Sylvia has over 8 years experience in business brokering specialising in the sale of Cosmetic & Skin Clinics, Beauty Salons, Day Spas. Sylvias’ vast experience incorporates the following; listing and selling businesses, consulting, liaison with business professionals, business administration and management. Professionalism, market knowledge, exceptional negotiating skills and industry connections see Sylvia in high esteem. Sylvia is known for delivering outstanding service to clients ensuring that her clients are informed every step of the sales process and achieving record results. Sylvia has a genuine passion for the industry and her enthusiasm, focus and attention to detail are valued by her clients and industry peers. Sylvias’ warm manner and dedication ensure the finest in customer service. She has the ability to match the right people with the right business and this quality that has allowed her to build a strong network of clients. Sylvias’ great communication interpersonal skills and system driven approach achieves amazing results for her clients. I first came across Benchmark when purchasing the Greville Clinic in October 2018, During the negotiations for this purchase my broker displayed consideration for both the vendor and the myself, always displaying attention to detail, efficiency and a solution-oriented mindset, making the process entirely seemless. Benchmark pursued all requests for more detailed information in a timely manner and kept me updated on the status of these requests. They were extremely supportive and considerate in all areas of the business purchase and it has been a pleasure to conduct business with you. Thank you very much for all you support during the process. We could not have asked for a better broker or a more patient person to deal with during the long 6 month process it took to get to settlement but we are extremely happy with the outcome. You were always available for us and we appreciate that. Thank you to you and your company for seeing this trough to the end.